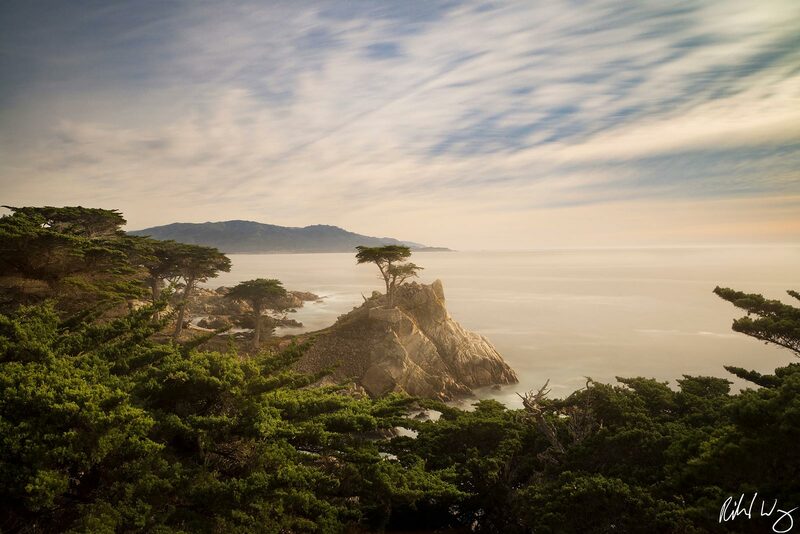 One of the most iconic trees in the world, The Lone Cypress, is popular attraction along the Monterey Bay coastline. The tree is held up by cables and has survived 200+ years of saltwater, wind and lightning along the rugged Monterey Bay shoreline. The Lone Cypress was severely damaged by heavy storms in February 2019. One of the major tree limbs were lost in the destruction. My Lone Cypress photo was one of the last photos made of the iconic shape before the storm damage.